Most of the people think that the Linux doesn’t have an user-friendly interface as compared to other available top operating systems. But you might be going to change your opinion after going through this list of most beautiful Linux Distros, we have compilied here. Both by interface and ease of use provided by these Open source Linux operating systems are best for Linux beginners. We know that before diving into any operating system the first thing that attracts our eye is an appealing looks of a Linux desktop environment then stability and familiarity in terms of usage. So, today we present a list of most beautiful Linux distros which is a mixture of some popular and newcomers. Here, we are covering Linux distribution those shipped with most beautiful available open-source Linux environments. Also, the installation process of all these operating systems or distros mentioned below is same as others. All these best looking Linux distros comes with a beautiful desktop environment but end of the day its all depends on a user, what he wants and likes? 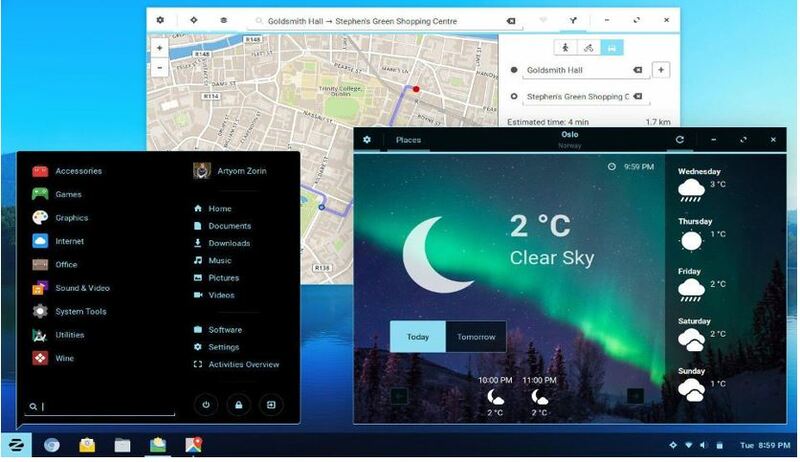 The Deepin Desktop Environment comes with blur and transparent control centers like MacOS and also feature gestures to provide refreshing Linux desktop experience. 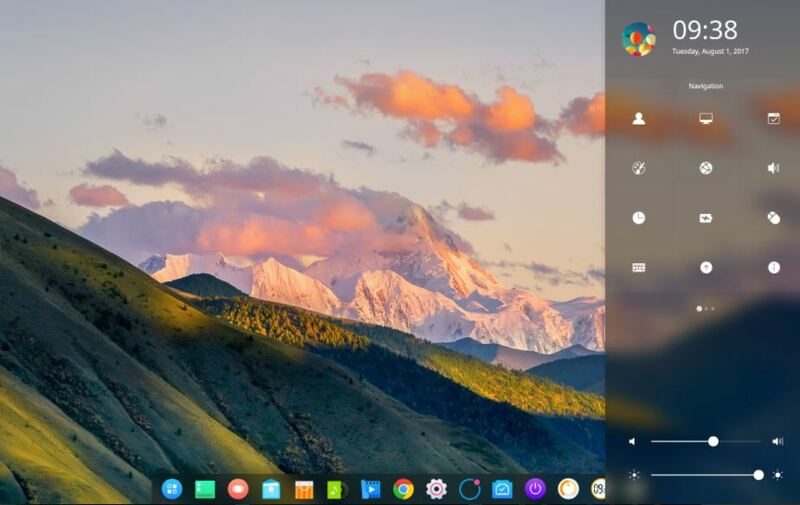 The DDE is a default desktop environment for the official Linux Deepin distribution which is open source and developed by a Chinese company. You can also install the Deepin interface on your existing Ubuntu, Manjaro and Arch Linux desktops. The Deepin was Ubuntu based until its 15th version released and after that, it becomes a complete Debian-based distribution. 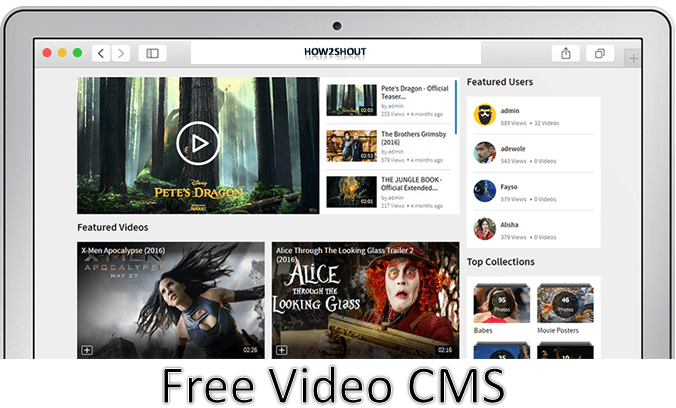 It also provides lots of applications such as Deepin Software Centre, DMusic, and DPlayer those are tailored for the Linux beginners. Deepin is very easy to install and can become a good alternative to Windows in office and home use. Initially, when the elementary OS was launched it was very unstable but now it pretty much stable & can be a part of your machine. The elementary OS feels like MacOS in looks. It is an Ubuntu-based desktop distribution and with one of the most beautiful custom desktop environment called Pantheon. This lightweight desktop environment can be easily installed and use on your old desktop and laptops. 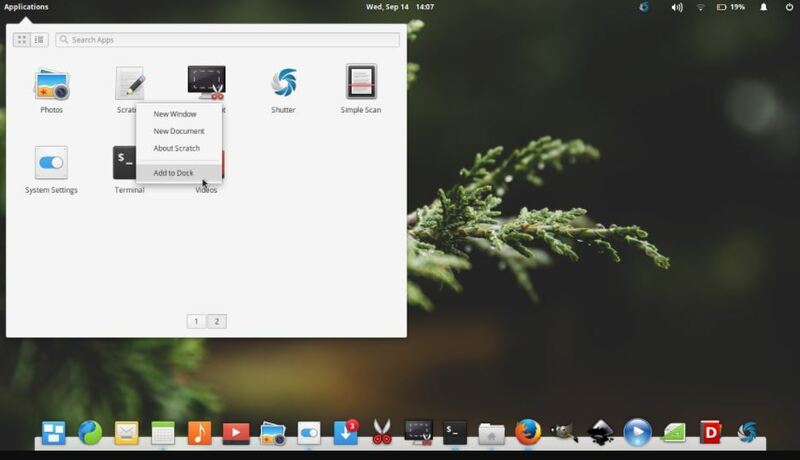 elementary OS comes with lots of pre-installed apps such as Terminal, Calendar, Videos, Music player etc. including custom apps. The Epiphany web browser and a fork of Geary mail are also there. As it provides sleek interface, clutter-free desktop experience, MacOS likes menu and settings and more, which makes it the best option as an open source alternative to MacOS. 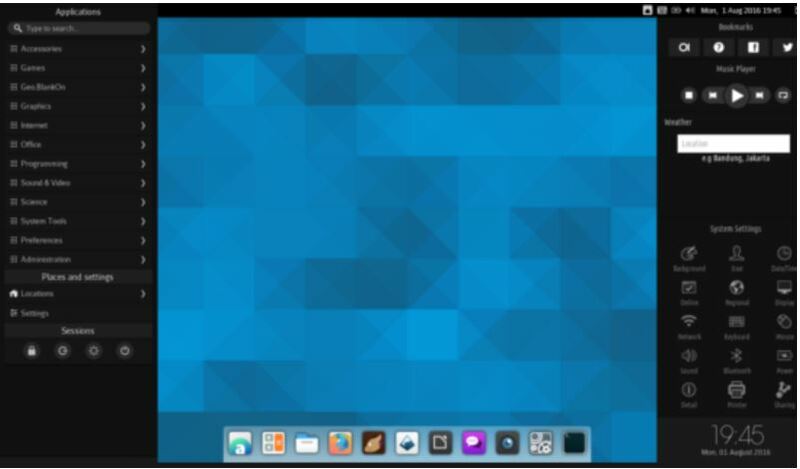 Nitrux is another Ubuntu-based Linux distribution which uses a Nomad Desktop environment based on KDE Plasma 5 and Qt. It is pretty much new Linux Distro on this of most beautiful operating systems but designed with a beautiful interface. You can try it but remember it is still new in the race and can’t be used in the production right now. It also features Babe music player and the Nomad Firewall utility. Nitrux is in only 64-bit version. 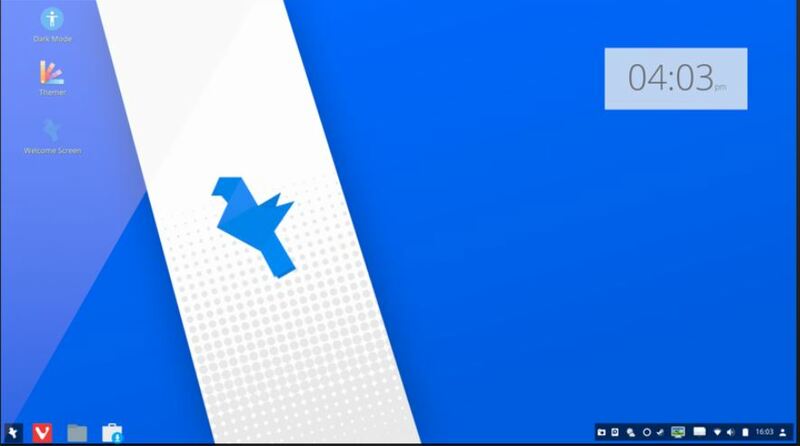 Solus OS independent Linux distribution uses a custom desktop environment called “Budgie“. 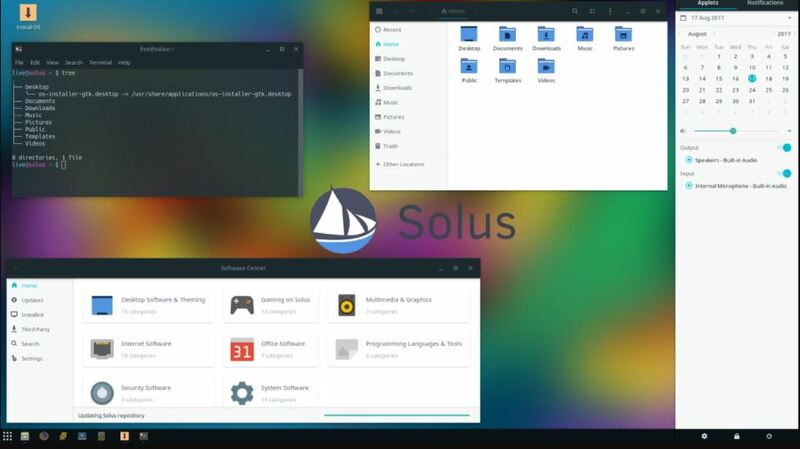 It is Solus in-house developed desktop environment and comes as the default desktop for Solus OS. The Budgie is tightly integrated with GNOME stack and focuses on the simplicity of their interface. If you are new to Linux you can easily familiar with the Budgie. The Solus OS is available only in the 64-bit version and if you talk about Budgie, then it is also available for Ubuntu as Ubuntu-Budgie edition. For those people searching for best looking Ubuntu distro, please try Budgie on your Ubuntu, maybe you will what you are looking for. If you are a Windows fan then don’t look anywhere else. The feren OS which is Linux Mint based gives you roosted dish of Windows and Linux Mint interface. 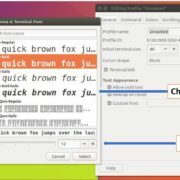 It is based on Cinnamon desktop environment which features Windows-like start button and taskbar. The feren OS is like a mixture of Windows and MacOS. You can change the background, themes, icons and more using the inbuilt options, moreover, the customized start button looks pretty much good. If you want to move from Windows to Linux then you can use feren OS with stability and aesthetics. When Microsoft has announced to end the support for Windows XP, then the Zorin OS came out as the best alternative to those people looking for an open source Windows replacement. 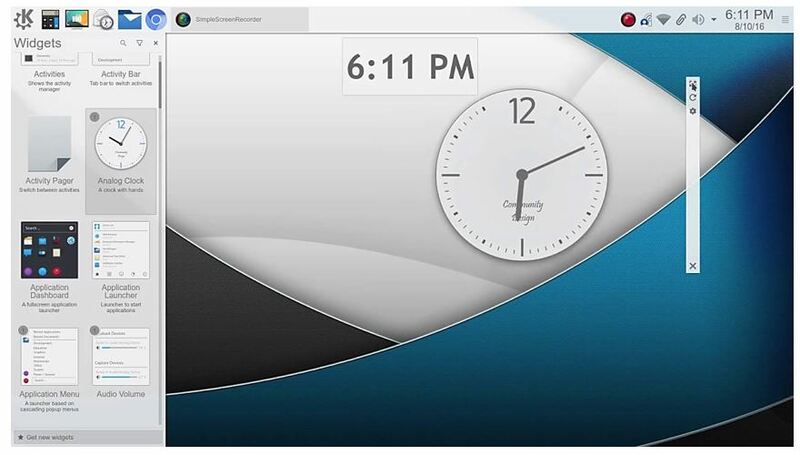 Like freen OS, the Zorin OS also features the Windows-like start button but with some extra options. Zorin out of the box uses the most popular GNOME desktop environment and provides multiple customization options for the start menu and taskbar. You can choose to set its interface like MacOS, Windows or like native GNOME. It is based on Ubuntu that means there is no hassle with the terminal commands. Zorin OS offers built-in firewall, apps for documents, music, videos, and photos, available in 50 languages, pre-installed games and more. 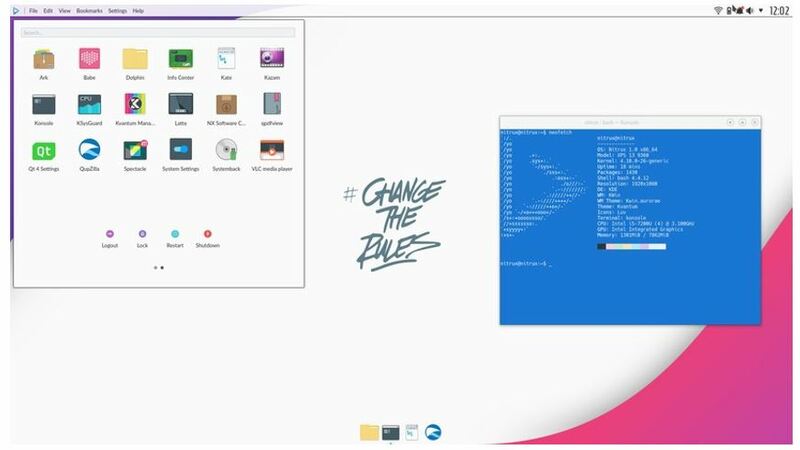 The KDE Plasma is the highly customizable desktop environment and one of the most beautiful Linux desktop environments available in the world of open source. It is highly an advanced graphical desktop and user-friendly too. 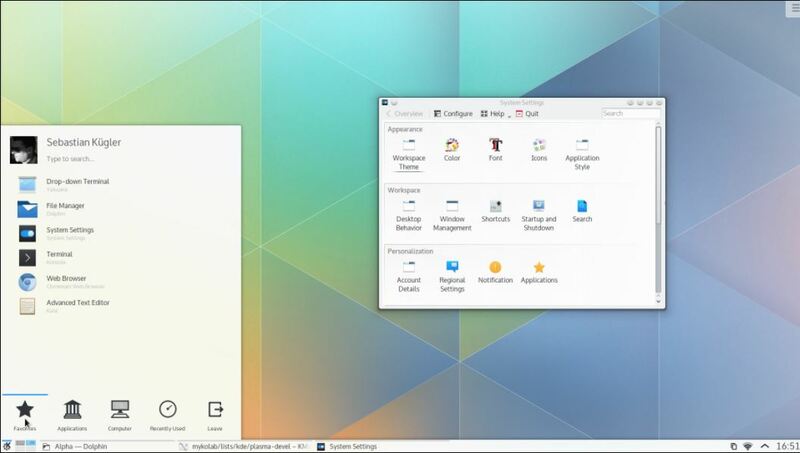 Being most flexible desktop environment you can easily install on your existing Linux distro. It doesn’t feel clutter and the interface is very clean. BlankOn X Linux features both side panels, the left one is for the category as well as searching apps quickly while the right panel for a shortcut to run frequently used operating functions. It also supports touchscreen. 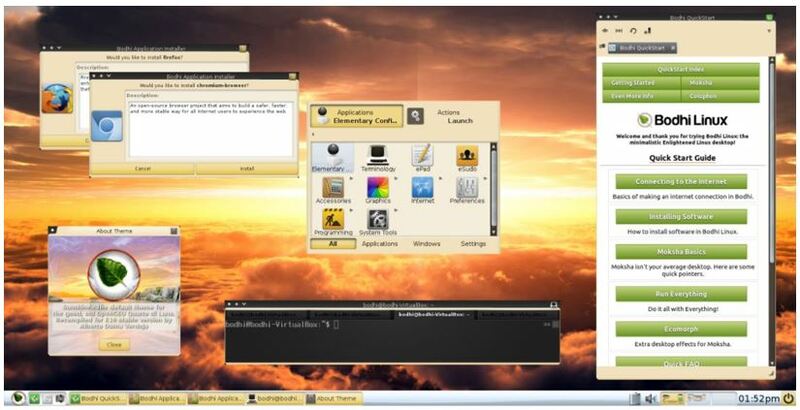 The Bodhi Linux is a lightweight Ubuntu LTS based OS that can easily run on your old machines. The Bodhi runs on Desktop environment known as Enlightenment. Another OS which uses the custom Enlightenment Desktop environment and based on Debian is Elive. It is also very light can run on the oldest computers easily. IT features eye-candy effects and beautiful desktop. Bodhi and Elive Website LInks. Note: If you know any other best looking and beautiful Linux interface distro, please let us know. I am really not even expect of Blankon being on the list. It’s indeed pretty and beautiful. Thanks for the opinion but its all depends on the personal view, what you dislike may be liked by someone else. Please, if you know any Linux distro which looks beautiful to you, let our readers know, it would be quite helpful for everyone. I have tried a fair number of Linux distros. Most are very very nice. Last time I tried the latest version of Linux Lite I was truly impressed with its beauty. I mostly use Linux Mint Cinnamon. It’s not flashy but it works cleanly and has some nice desktop backgrounds and customization options.